How can O'Hara Landscape Lawn Aeration service achieve and maintain your beautiful lawn in Deerfield Beach? O'Hara Landscape Lawn Aeration service in Deerfield Beach is for lawns with the following issues. O'Hara Landscape service of basic lawn care, includes mowing your lawn, fertilizing and watering your lawn and garden and lawn aeration. O'Hara Landscape understands the importance of nutrients that reach the soil beneath your grass. O'Hara Landscape uses the practice of Lawn Aeration, an extremely vital element for a healthy lawn. Lawn Aeration allows air and water to penetrate built-up grass or lawn thatch, and gives your lawn new life from deep within the soil for your home in Deerfield Beach. 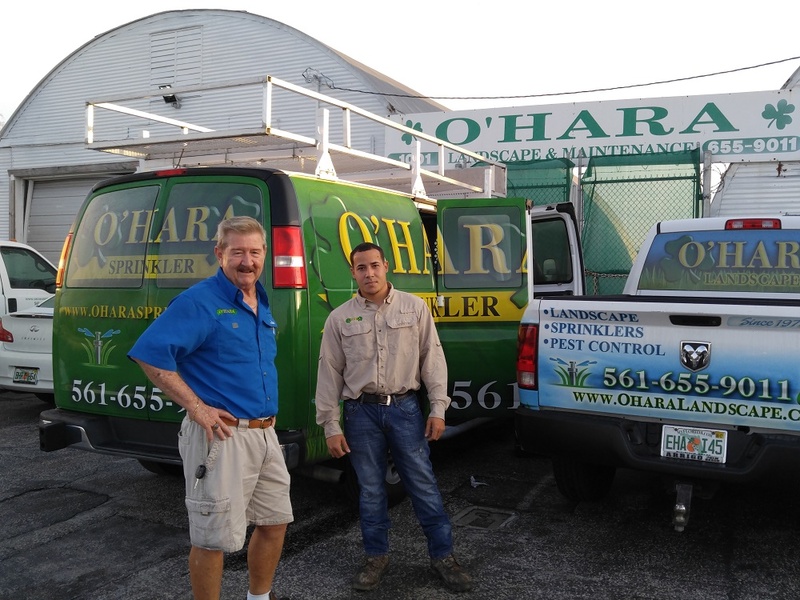 O'Hara Landscape Lawn Aeration service in Deerfield Beach entails perforating the soil with small holes that will then allow air, water and nutrients to penetrate the grass roots.O'Hara Landscape Lawn Aeration service allows the roots to grow deeply and produce a stronger healthier lawn. O'Hara Landscape Lawn Aeration service in Deerfield Beach is the removal of soil compaction which will allow the proper water and nutrition to get to the lawn's roots. Compacted soil prevents proper circulation of air, water and nutrients within the soil. Excess lawn thatch or heavy organic debris buried under the grass surface can also starve the roots from these essential elements.